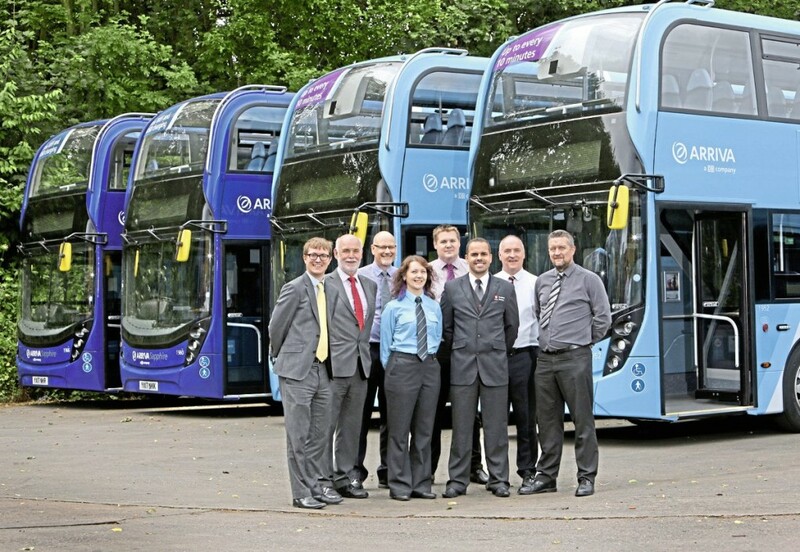 Recent years have posed some challenges for Yorkshire Tiger, Arriva’s stand-alone operation in West Yorkshire. Fire, flood and management change all took their toll before a new team led by MD, Simon Finnie, took control during 2016. 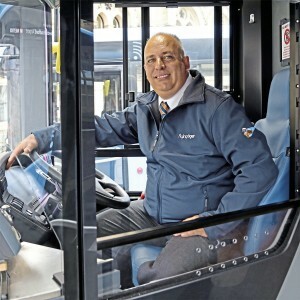 Simon, who moved from Arriva North West to take charge of Yorkshire Tiger in mid 2016, stressed the importance of the company’s relationship with local authorities in developing the business and its ability to react quickly to their needs: “One of the advantages of Tiger is its ability to be agile and flexible to react quickly to stakeholder needs. Barnsley is a good example where we had no depot, staff or vehicles but were able to demonstrate that we could put a solution in place quickly. Yorkshire Tiger now operates 110 vehicles from five depots: the headquarters at Elland plus Huddersfield, Honley, Barnsley and Idle. There are 350 staff, 250 of them drivers. The Flying Tigers are based at the Idle depot which replaced a previous location in Leeds and is the only depot where maintenance is not done in house. Here, it is contracted out to Grangefield Commercials who occupy an adjacent unit on the same trading estate. Both in house and contracted maintenance operations are subject to the full Arriva Group Audit process. Head of Operations for Yorkshire Tiger is Bob Mason who joined them from Blackpool Transport. Bob explained that in the future, Yorkshire Tiger would operate only under its own brand and the Flying Tiger brand, with operations such as Blue Tiger and Calder Cubs being absorbed into the main operation. All road staff are being issued with new uniforms, starting with the Flying Tiger team. 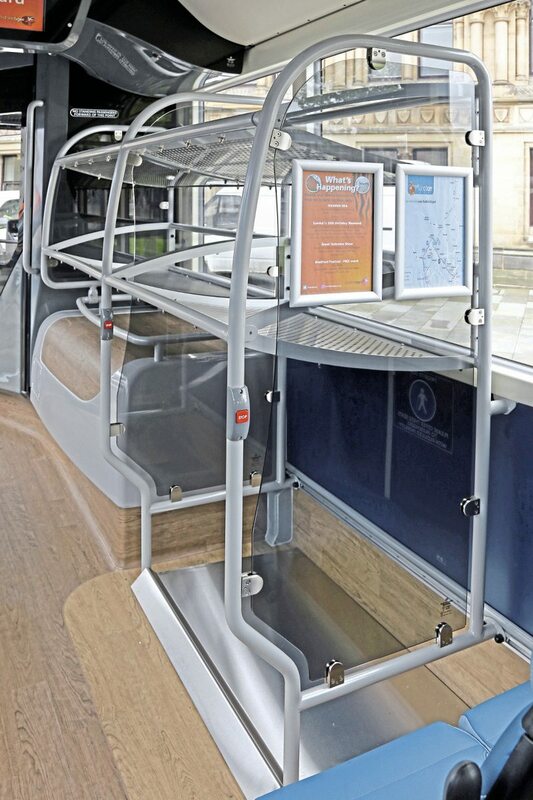 Yorkshire Tiger’s ambition is to continue growing and its next significant step is the July relaunch of the 80 series of routes in Huddersfield with an enhanced timetable and refreshed vehicles. 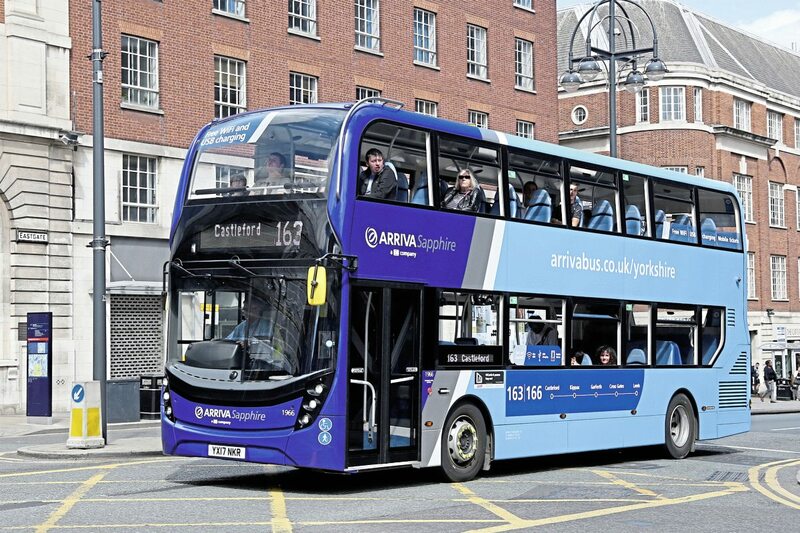 For this operation, Read Commercials in Blackburn is currently refurbishing seven 09 plate Optare Tempos cascaded within Arriva. 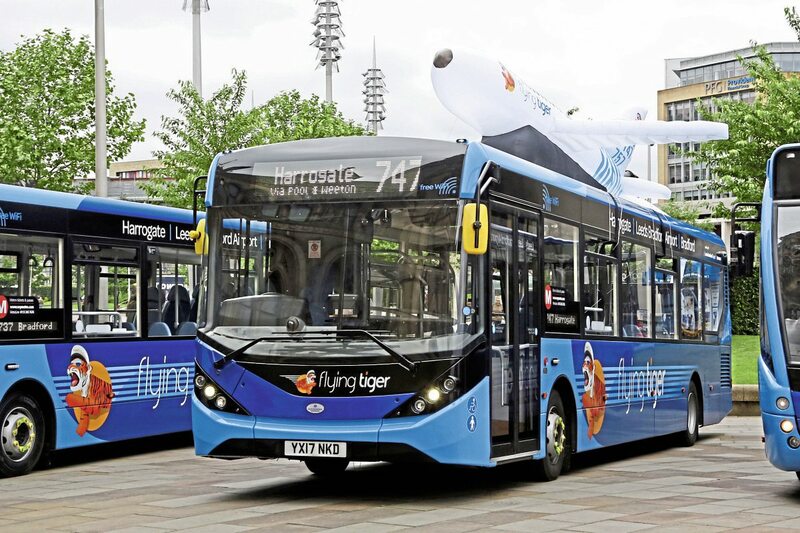 Simon considers the airport services are more than a key part of Yorkshire Tiger’s portfolio: “They are important to the growth of the Leeds City Region as a whole and to the airport’s strategic development plan which encourages more people to get to the airport by bus,” he says. “Additionally, with the prospect of Clean Air Zones in Leeds and Bradford, we have the solution here already. A discount travel scheme for airport staff is in place. Intermediate customers are also important to the services and this is an area Simon is particularly keen to develop to secure the future of the services. All English and WYCA passes are accepted on them. 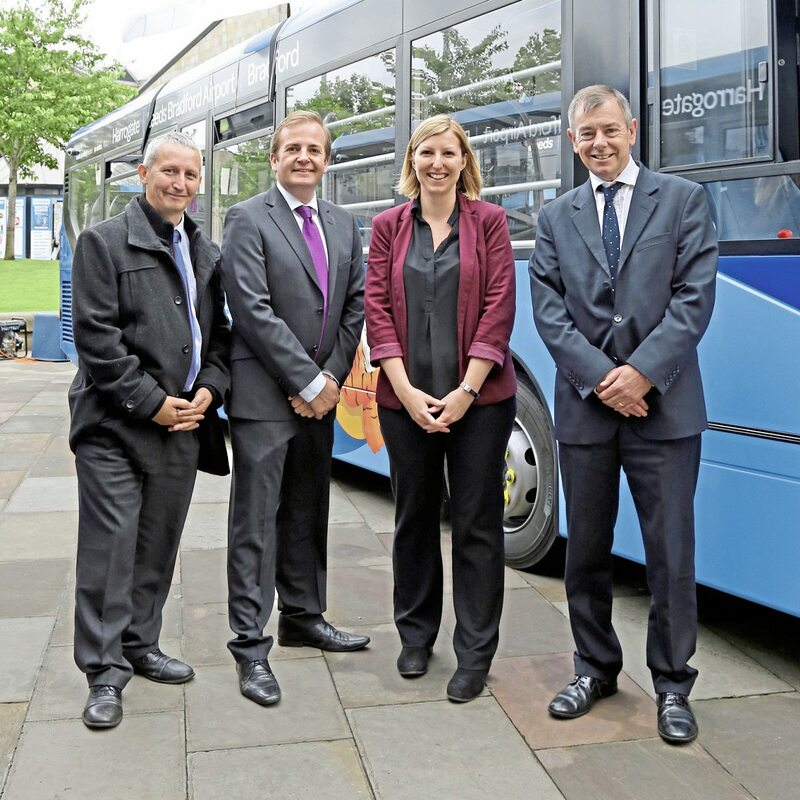 Yorkshire Tiger’s new three-year contract covers the three services which link LBA with Leeds, Bradford and Harrogate. The new vehicles are for the 737 to Bradford via Shipley and the 747 that links Bradford with Harrogate via the Airport and Greengates. Both services have an hourly frequency from around 0600 to 2300 hrs daily, combining to provide a half-hourly link to Bradford, albeit via different routes. The third service, the 757, continues to serve Leeds every 20 minutes with the Optare Versas introduced in 2014. These are being refreshed with the new branding. The Flying Tiger services are given a high profile at the airport with new arrivals being greeted by a large information display and map in the baggage reclaim area. Six new 10.8m ADL Enviro200 MMCs have joined the Yorkshire Tiger fleet for the 737/747 upgrade. 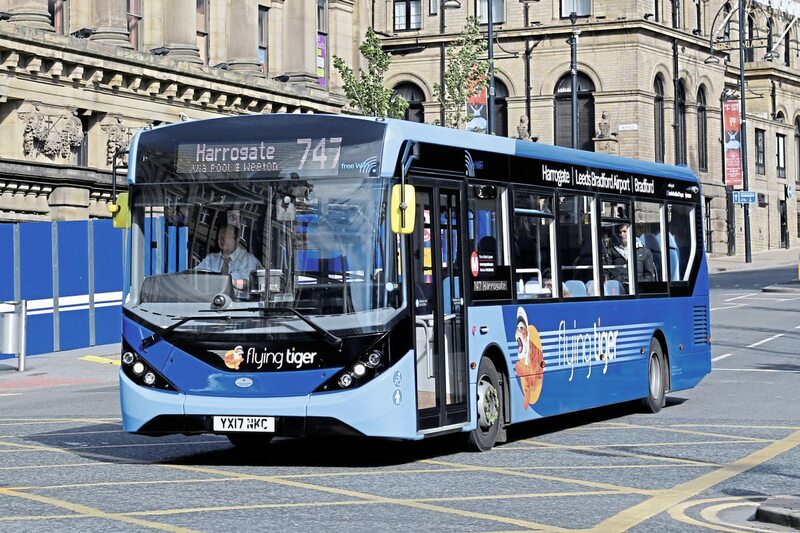 They feature a revised Flying Tiger livery designed by Best Impressions which utilises Arriva’s latest shades of blue and carries Bradford: LeedsBradford Airport: Harrogate branding on the cantrail panels. With the exception of a small logo on the high-level window at the rear, the livery does not encroach on the window areas. 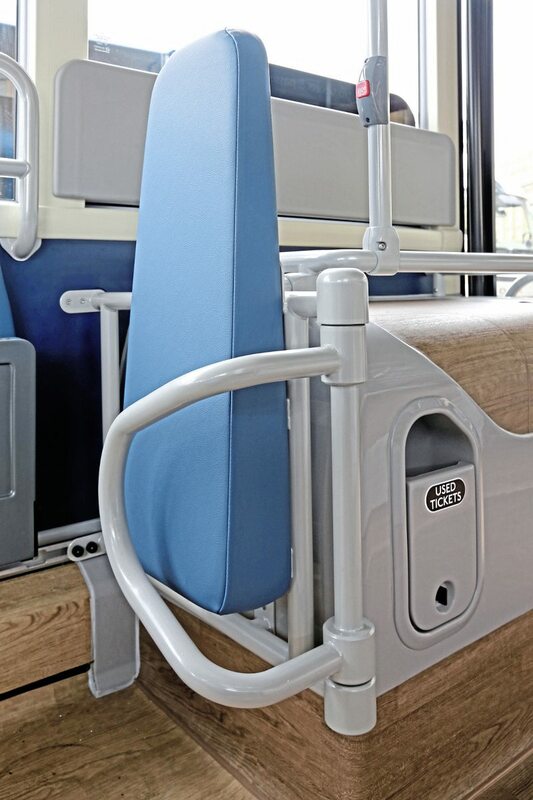 Seating is for 36 including three tip-ups, one being unavailable when the rear facing wheelchair position is in use. 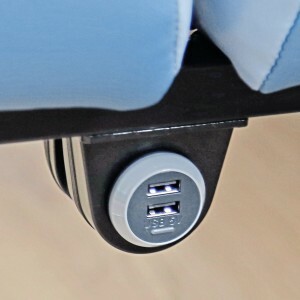 The forward-facing seats are Isri Civic V3s fully trimmed in two shades of blue E-Leather with a twin USB socket mounted underneath between each pair. 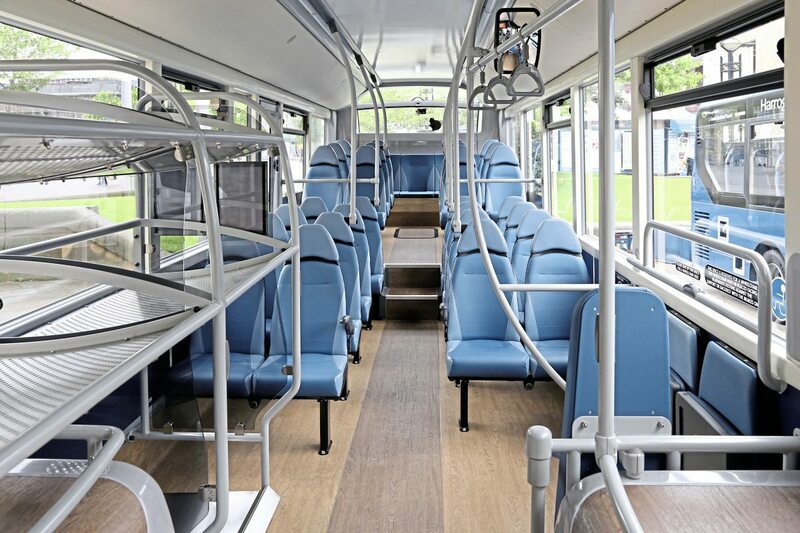 Wood-effect flooring is featured throughout contrasting with the blue finish to the side panels which matches the seating. Customer wifi is provided by Icomera and a multi-camera internal and external CCTV installation from 21st Century has been installed. 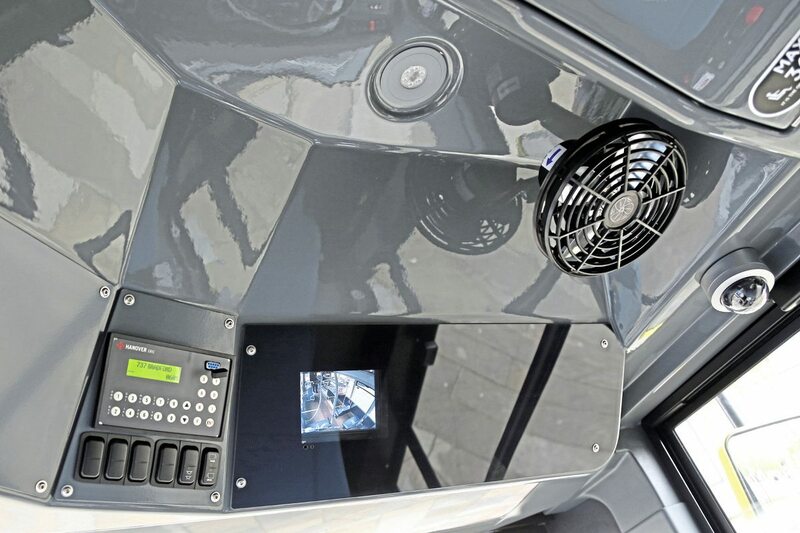 The latter can be monitored by the driver on a display above the windscreen alongside the controls for the Hanover Displays destination equipment. A single screen above the gangway at the front of the saloon provides for both the audio-visual next stop announcements and the display of promotional material. There is a manual ramp at the front entrance and twin-lens mirrors from Ashtree Glass to improve the driver’s view of critical locations. 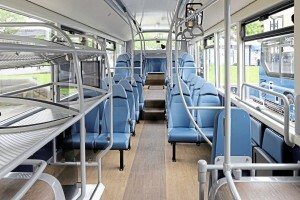 The driver’s cab itself features a Chapman seat trimmed in the same E-Leather materials as the passenger seats. Purpose-designed, multi-level luggage racks have been installed by ADL on the offside during the build process. Together with a luggage tray over the nearside wheelarch, they offer customers a total capacity of 310kg. 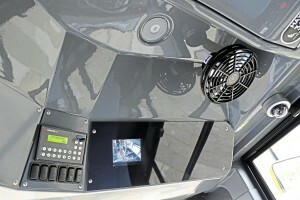 A used-ticket rubbish bin has been neatly integrated below the nearside luggage tray. 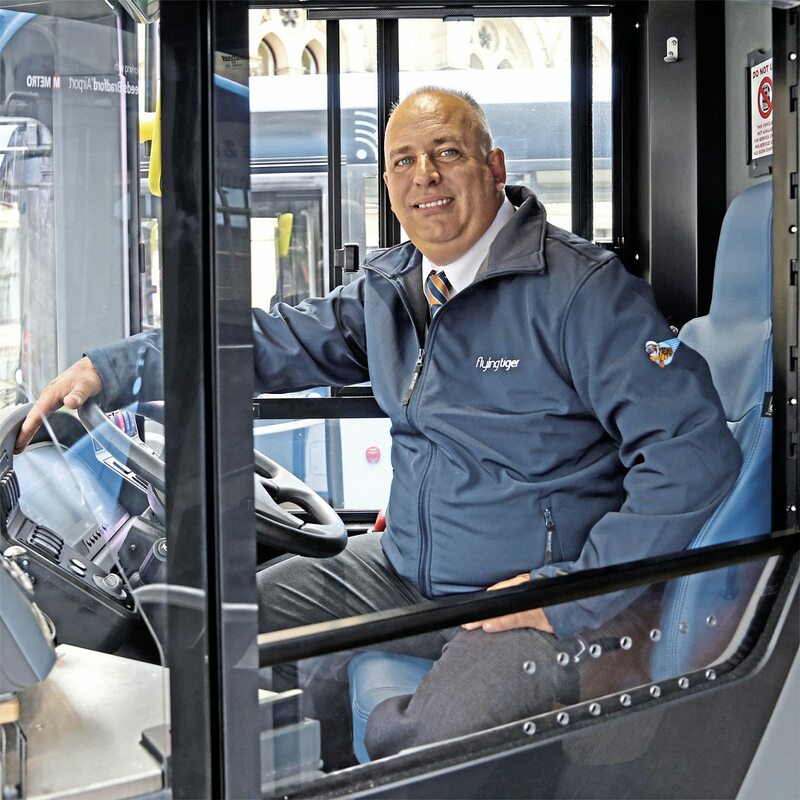 Mechanically, the new buses feature ADL’s Smart Pack to further reduce the environmental impact of the driveline which consists of the Cummins ISBe4.5 four-cylinder Euro 6 engine coupled to Voith transmission with stop-start facility. Head of Engineering, Tony Lowe, was deeply involved in the specification and build of the vehicles, working closely with the ADL team in Scarborough to deliver the right end result. He expressed considerable satisfaction with the overall product, particularly the patent ADL glazing system which reduces the timescale to replace damaged window units to a matter of minutes. Perhaps appropriately for the vehicles, the weather was more Scarborough than Salou for the holiday-themed launch staged in Bradford’s Centenary Square in front of the city’s iconic town hall. Organised by Arriva’s Marketing Communications Manager, Jess Mills, visitors could join in the party atmosphere, take part in a holiday-themed competition and enjoy free candy floss. Three vehicles featured in the launch, two of the new Enviro200s and one of the original Optare Versa Flying Tigers from 2014 which had been refreshed in the latest version of the livery. Attractive timetable leaflets with maps and information on places to visit along the Flying Tiger routes were handed out, each containing a voucher to sample a return journey at half the normal fare. Focal point of the event was a large, inflatable plane mounted on the roof of one of the Enviro200s. Supplied by Essex based Megaflatables, the plane featured the Flying Tiger logos and the highly appropriate Flying Tiger service numbers. PR and Public Relations Manager, LBA, Kayley Worsley took part in the launch and explained the importance of the airport to the local economy; 3.6m passengers have used it in the past year, taking advantage of flights to over 70 direct destinations and worldwide via three partner hubs. Good surface transport access was key to LBA’s success and Flying Tiger was now a well-recognised brand. Buses have good access to the airport site and will continue to play an important role notwithstanding the following day’s confirmation by WYCA that a railway station, albeit requiring a shuttle link, will be provided for the airport within the next few years. 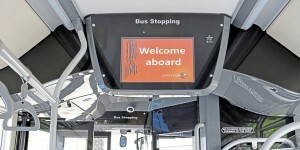 The new Flying Tigers are the second major investment by Arriva in West Yorkshire to be revealed within a week. The previous Sunday, an investment of £8m in 37 new ADL Enviro400 MMC double-deckers was revealed at the Castleford Family Fun Day. Attended by around 600 people, the event showcased the new buses for services 163/166 and 189 routes. The day included an unveiling by the Top UK Female bus driver, Karen Wilson, as voted for by the UK Bus Awards, as well as a free hog roast/BBQ for customers, music, stalls and two VIP bus tours around Castleford.